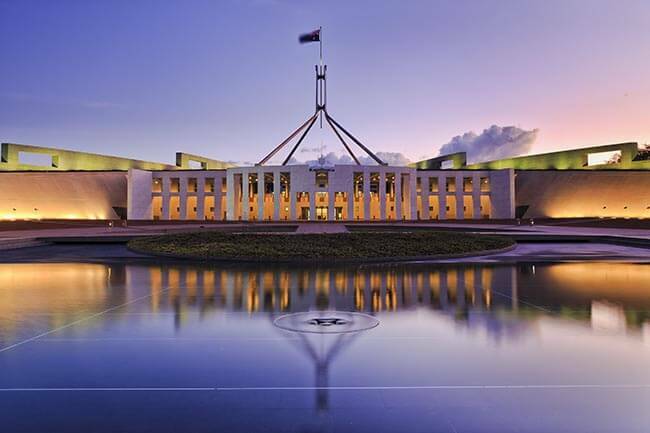 Australia is one of the most beautiful countries in the world with amazing rugged coastlines, fantastic beaches, all year round sun and plenty to do. 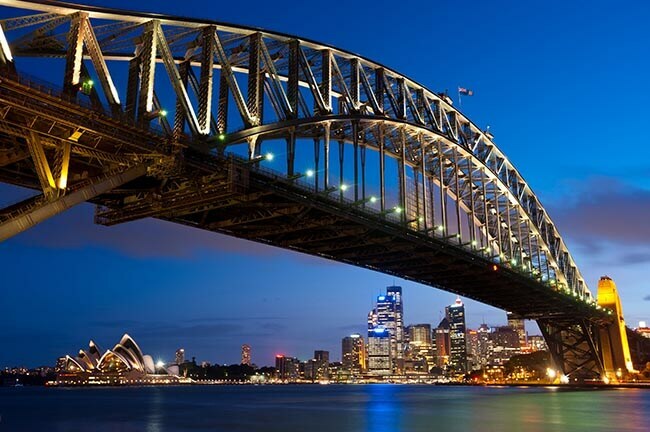 The Aussies are friendly and welcome visitors from all over the world to their relaxed and laid back world. Melbourne is in the south east of the country, a city that offers everyone the chance to see how people live and their different lifestyles. 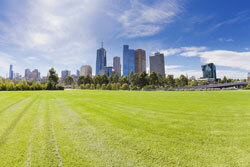 There are also many stunning parks, gardens and interesting architecture to admire as you tour around Melbourne. Hop on a tram to explore ancient arcades, laneways that are home to hidden bars, chic cafes and fashionable boutiques or enjoy one of the many festivals Melbourne is famed for. If you’re a sports enthusiast there are amazing sports grounds where football, soccer and cricket are played, great fun. Pop into the Queen Victoria Market to buy souvenirs and don’t forget to visit the Dairy Hall, quite an eye-opener to say the least. St. Kilda on the shore of Melbourne is a live music venue and also home to the well-known Luna Park, a great funfair with lots of rides, ideal for adults and children alike. 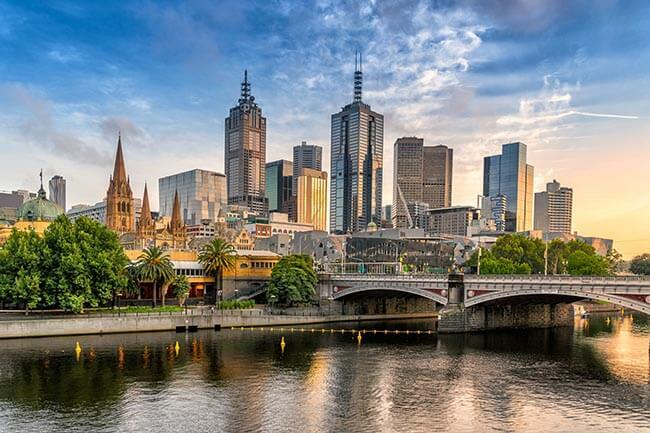 Melbourne’s both stylish and cosmopolitan so wherever you choose to stay whether St Kilda or Fitzroy for instance, you’ll have an amazing holiday. No visit to Australia would be complete without seeing the Great Barrier Reef. It’s one of the seven wonders of the natural world and a must-visit on your travels. There are many ways to explore this reef which can also been seen from outer space. Dive down into the ocean and enjoy scuba diving or snorkelling. If you prefer to stay dry, there are aircraft and helicopter tours that fly over the reef and get really low. Maybe the most popular way is by a glass bottomed boat, a semi submersible or a cruise ship tour. You may even spot dolphins or whales swimming close by. Larger than the Great Wall of China, the Great Barrier Reef is the biggest coral reef in the world made up from over 2,900 reefs and 900 islands. It can be found in the Coral Sea just off the coast of Queensland. The reef is made up of billions of organisms which are known as coral polyps and home to a huge range of marine life. Expect to see red bass, clown fish, snapper and coral trout along with sea snakes and sea turtles. There are also many varieties of sea grass too. To give you an idea of the size of the Great Barrier Reef, it’s probably best seen from the air. The Whitsunday Islands are the perfect place to be to enjoy this exotic location’s sandy beaches along with the reef itself. Watch the seabirds dive and swoop or maybe a turtle or two coming ashore. 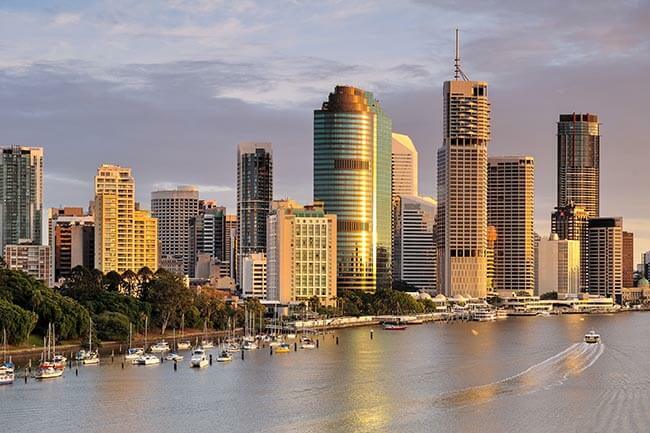 The amazing city of Perth, which is the capital of Western Australia, is one of Australia’s most popular holiday destinations. It has many restaurants, shopping malls, bars and hotels along with being home to King’s Park, a huge city park. Of course Perth also offers stunning beaches where you might see a dolphin playing in the sea. 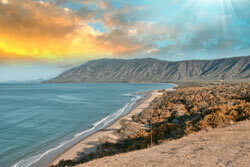 Western Australia is known for its delicious food with Perth offering visitors and locals a diverse range of cuisine. Dine out at a seafood restaurant with a glass of wine or treat yourself to black truffles. There are many vineyards in Perth especially in the Swan Valley. For something a little different, organise a wine tasting tour to award-winning breweries. 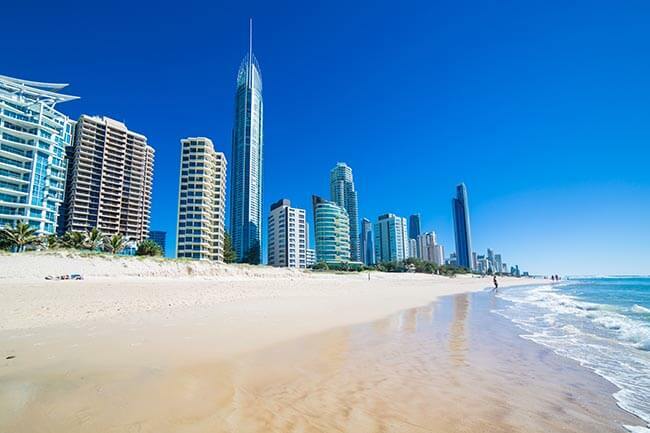 There are many family friendly, surfing and world heritage beaches in Perth too. Cottesloe Beach is so beautiful it will take your breath away. It has white sand, is perfect for swimming, snorkelling, surfing or having a picnic and watching glorious sunsets. Keen surfers shouldn’t miss out on a visit to Scarborough Beach. During the day the surf breaks are magnificent while in the evenings there are vibrant clubs and lively pubs to enjoy a pint of beer. 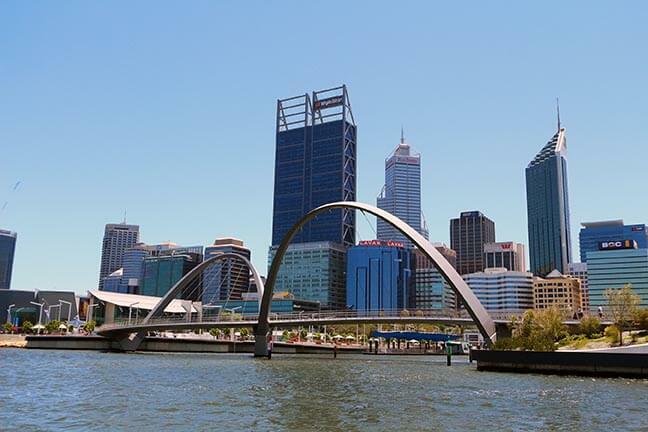 Take a tour of Perth by minibus to see the city’s skylines, the War Memorial, the Swan River and Perth Zoo. There’s also the interesting Perth Mint to visit where you will see gold pouring demos along with the opportunity to buy gifts or souvenirs. For the more adventurous, head to Kimberley. It’s the ultimate outback adventure where you’ll travel through gorges, cattle country while enjoying real country hospitality at outback stations and homesteads. Along the southern coast of Queensland you’ll find Fraser Island. This is the biggest sand island in the entire world and also a world heritage site. It’s protected for its natural beauty and miles upon miles of pristine white beaches. The sand cliffs, many freshwater lakes and crystal clear creeks make Fraser Island a very popular tourist hot spot. Rainforests grow on the sand dunes providing the island with a tropical feel. Enjoy the beautiful wild flowers in summer or spring, the rare ferns, sea grass beds, mangroves, dugongs (unique marine mammals), turtles, butterflies and curlews. Fraser Island is only a short ferry ride from Hervey Bay, Queensland with plenty of natural things to see and do. Many holidaymakers stay on the island to relax in this peaceful and quiet setting. It makes a pleasant change to get away from it all on this untamed wilderness of an island that has a charm all of its own. Enjoy island living, a daily swim in the warm waters, lazy days at your hotel accommodation and good food in the evening. A great way to get around Fraser Island is by Segway. Take a one hour adventure on Kingfisher Bay sands with an experienced ranger. It’s great fun using off road Segways where you can steer in and out of the tides while listening to interesting info from your guide.